Finn Little was born in Brisbane, Qld, Australia, where he lives with his parents and his older brother and sister. He started acting at age 5 appearing in numerous regional and national television commercials. Since then he has appeared in Film and Television productions. 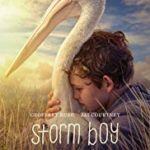 Finn is known for Storm Boy (2019), Angel of Mine (2019), Reckoning and Tidelands (2018). Finn Little is represented by Natalie Hall Management.